you for praying and doing! Toomey and Gabriele Mayes (chair). contribute to those who have a specific need. a year, and may only offer part of a meal, like soup, a salad, or desert. cards, make phone-calls when you notice someone’s prolonged absence. you are already doing this – we just want to make it overt and invite ALL. because you’re suffering silently we can’t offer support. different ministries. Keeping track of each other is an active way of loving.  Please check your contact-info in the directory. occasional rides to church, doctor’s visits etc. Contact me for that. for the youth. Let me know if any of you would like to come along – anytime! we will also be better able to love the stranger in the community around us. Respectfully submitted, Gabriele Mayes, chair. …is a collective effort to establish clear communication-lines for parishioners to express needs and receive a timely response to their calls… to learn to serve one another with joy… to pay attention to our people’s comings and goings… to provide connection and communion for our home-bound parishioners… to support the clergy in meeting the pastoral needs of the congregation. We want to exercise a hands-on-faith in taking care of each other in our beloved church. We meet every fourth Sunday of the month from 9:15 – 10:15 in the Fr Gordon’s office. Our meetings have a threefold structure: devotions / prayer; practical business issues; training. 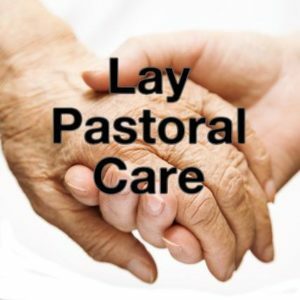 Ministry-areas: Elder-care and visitation (beyond EV); meal-train to parishioners recently hospitalized or bereaved; transportation-rotation for home-bound or non-driving senior citizens in facilities; card-writing; prayer and pastoral care as requested by parishioners. Ministry-members: Gabriele Mayes (chair); Marilyn Emmons; Marvelle Martin; Pam Herrin; Jeannette Best-Nunez; Etta Cole; Hillary Saunders; Tonya Leary; Valerie Curry, Samantha Toomey. Minstry-supporters: Jennifer Khaleel; Diana Farmer; Linda Nwosu; Marian Franks; Frances Hart; Vanya Davis.